How about having your best photo transformed into a work of art? If you want to give your favorite photos an artistic touch, allow us to transform them into stunning canvas prints. Here at Superchrome, a large format digital printing company in the UK, providing printing, laminating, encapsulating and mounting services, we can turn your favorite digital photos into excellent works of art with our latest digital printing photo canvas service. Canvas is the best medium to give your photos the appearance of original paintings; canvas prints can enhance the overall look and feel of your photos. At Superchrome, we are dedicated to delivering the best printing photo canvas services at the lowest possible prices. We can print your photos on premium canvas substrate of your choice. For photo canvas printing, we utilize various heavy or light versions of canvas such as water-resistant canvas, glossy canvas, matte canvas and coated cotton canvas. We have a full-fledged digital canvas printing department with ultra modern state-of-the-art facilities to produce image quality canvas prints. We use high image quality, high speed and high resolution printing machines compatible with both dye-based inks and pigment-based inks. For better quality canvas prints, we highly recommend using pigment-based inks, especially archival Epson Ultrachrome inks for our customers. 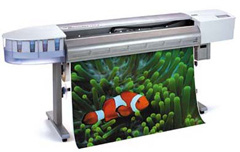 We follow the most advanced giclee printing process to produce superior image quality prints. By employing giclee printing process, we can transform your photographs into amazing art prints that closely resemble original photos. We can also provide superior quality stretcher frames on request and lamination services for extra protection and fade resistance for your canvas prints. If you have any photo canvas printing requirements, please send your photos on CDs or DVDs. Moreover, we can support digital photos of formats such as .JPG, .BMP, .PNG, .PDF, .PSD, .PCX, .EPS, .TIF, .TIFF and .TGA. We can transfer them in the same size or in any other sizes according to your canvas print needs. In addition, we can provide scanning of your negatives or photos and touch-up and enhancement services as part of canvas photo printing services. If you would like to know more about printing photo on canvas, any of the projects shown or if you want to discuss any project you have coming up then contact us 020 7237 9333 or fax 020 7237 9444 or email sales@superchrome.co.uk. Our experienced personnel would be able to guide you appropriately.